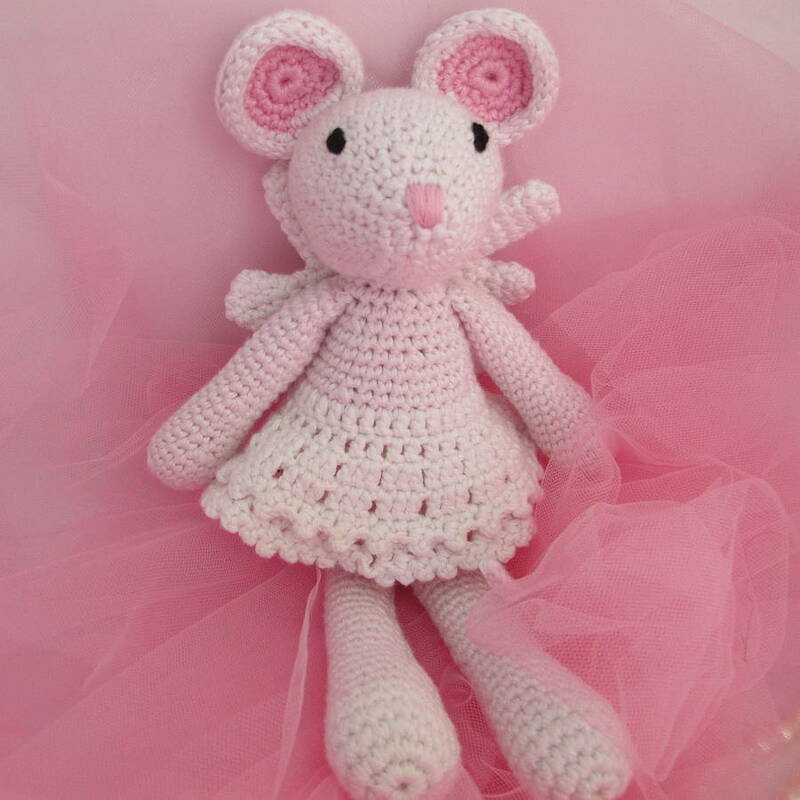 A beautifully hand crocheted angel mouse. 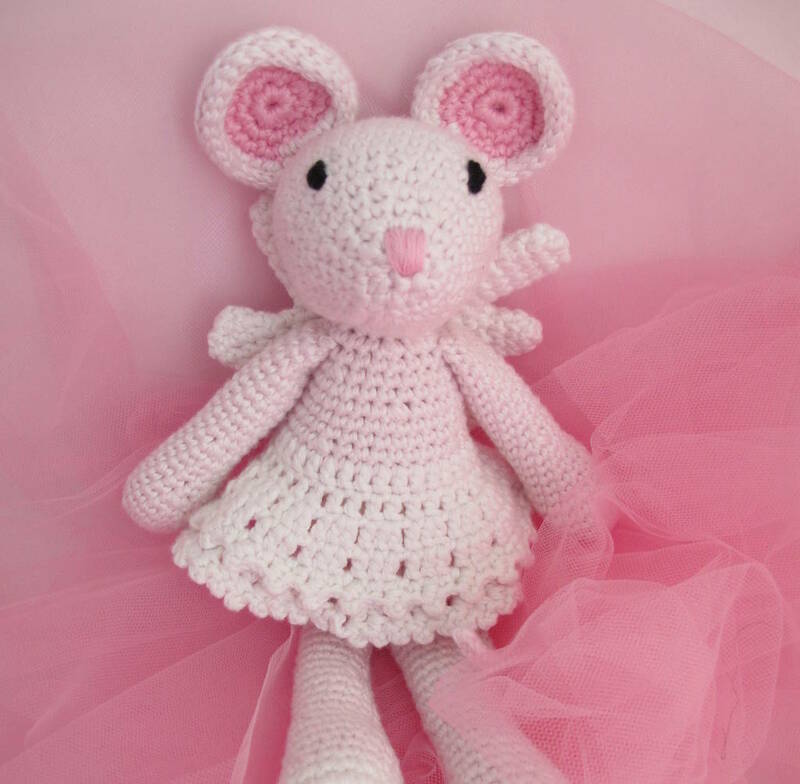 Ballerina is very lively and always dancing around, Angle is calm and quiet , But, both of them are very warm hearted and love to help others. 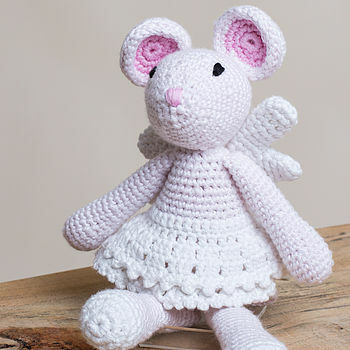 These little mice are made in the softest bamboo yarns , so they are lovely to cuddle. They are wonderful gifts for babies christening, new born and of course Christmas!! Machine washable or hand wash at 30 degrees. 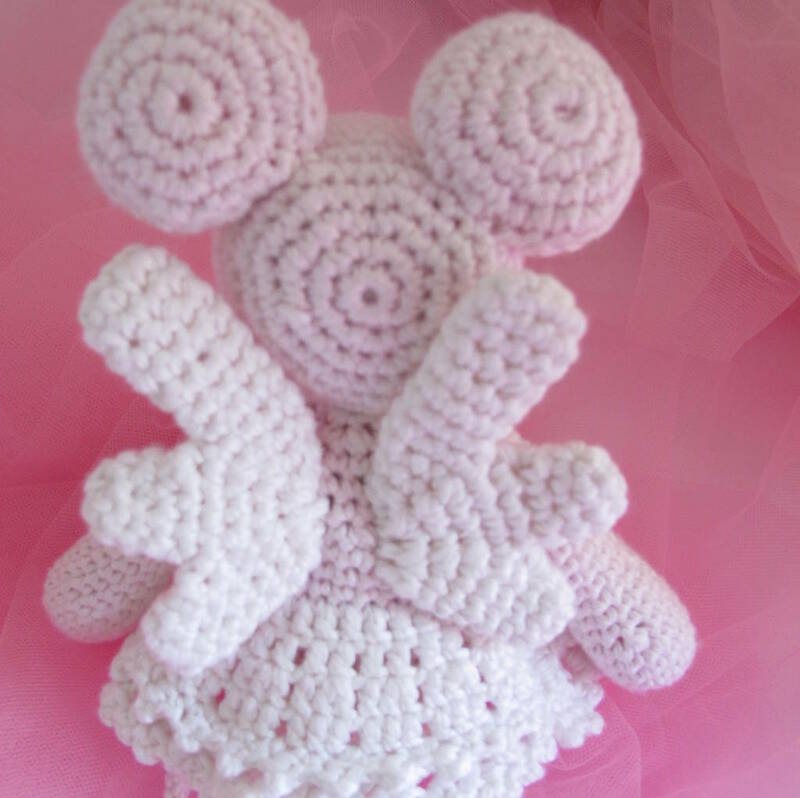 70% certified organic bamboo 30% egyptian cotton.